Dupe it up: 4 Korean beauty holy grail finds! You might want to think twice before shelling out the big bucks for that night essence. Here are four high end dupes you can find in Korea (and purchase online) for a fraction of the cost. 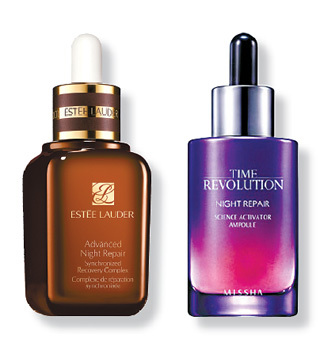 The Missha serum has been said to be almost an exact dupe to Estee lauders advanced night repair. I bought it for my mom when she visited for ₩33,000 (about $29.00 USD) but you can purchase it for $50.00 on sokoglam.com . Compare that to the $91.00 estee lauder serum in the same size, and its a steal. But how does it compare? Head over to skin and tonics review HERE to read an amazing breakdown of not only pricing and ingredients, but review over months of use as well. Having used the first product, I was shocked and overjoyed with the amazing quality and price of the etude house dupe! When you experience humidity like Korea has in the summer, a good primer is a staple in your routine. Come the price of $24 for urban’s to ₩6,000 ($5.00) for etude’s, and it is even more worth it. 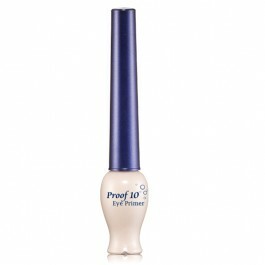 You can purchase it for $7.00 at sokoglam or for $8.00 at memebox. 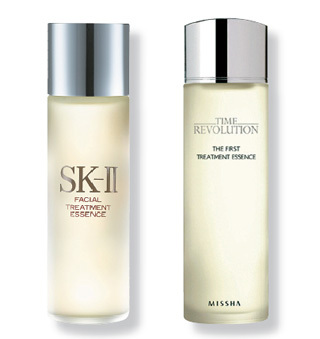 3) SK ii facial treatment essence vs. Missha time revolution essence. And Missha does it again, with an affordable and highly rated dupe for a very high end product! Coming in at $110.00 USD, SK ii is said to be well worth the money. However, for between $35-50.00, Missha takes the win again. Buy it on sokoglam or memebox. For another amazingly written breakdown of the ingredients and a review, head to skin and tonics review HERE. She writes such well researched and planned reviews, it’s worth the glance! 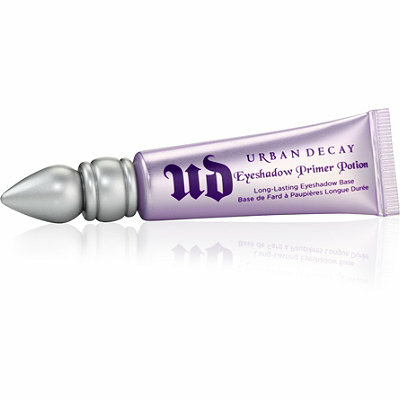 My best friend, who lives with oily skin, is in love with this dupe, as am I! 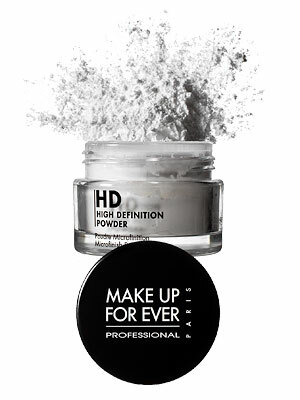 I love the soft finish and how it helps to keep my makeup in place, without drying out my already dry/normal skin. Coming in at ₩6,000 ($5.00) vs. $19-34.00, it is a steal! May your bank accounts stay fuller and your skin look even better! There are definitely some things I wish I would have known before arriving in Korea. My trials and tribulations are here to help you! Here are some things to be prepared for! Like many prospective teachers, when I made it through my EPIK application process, I instantly went to YouTube to learn about what my future life may look like. Let me tell you…the chances of you getting that apartment with that small loft? Pretty remote. Most of my fellow teachers were welcomed into a one room studio that is about the size of a bedroom in the USA. Studios with a loft can actually be expensive to rent, therefore it is not common that your school would have one for you. Don’t be dismayed though! I actually quite enjoy my little space. It has everything I need and although I don’t entertain guests very often (mine, although the newest, also is the smallest, about 1/3 to half the size of some of my friend’s studios) the space is 100% mine and you will find you really didn’t need that much space to begin with! My search for either of these (without making it myself) has so far proved fruitless…. (get it? No pineapple 😉 ) If you want cookie dough, you will need to make it yourself…but you will have to go to Costco to get butter that isn’t sweet. BUT…Korea has a great selection of different pizzas, from potato, to quesadilla pizzas, beef pizza, and more! As long as you don’t mind that it comes with corn! It can be very expensive. Dominos and pizza hut are definitely now out of my price range. That is where pizza school comes in. 6,000 won for a pepperoni pizza? Dream come true. 4) Wait…where is my bed? 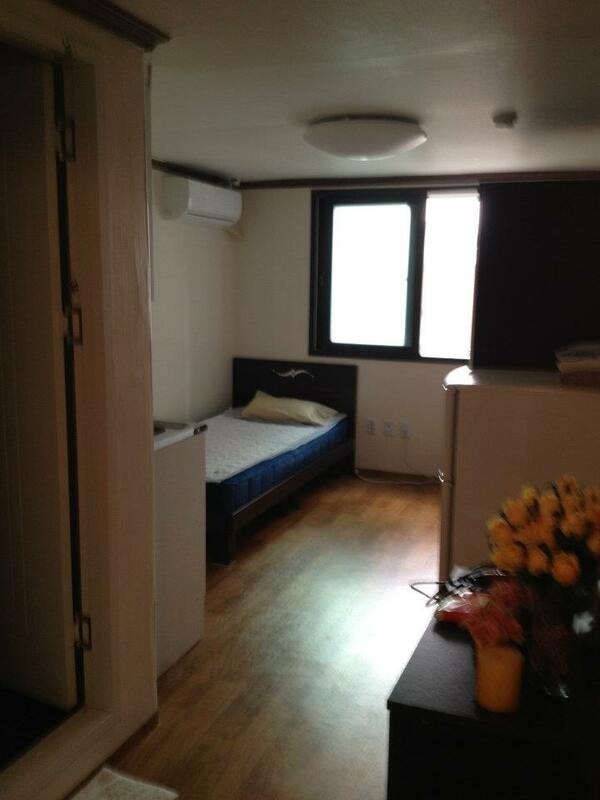 Be prepared for what one of my orientation teachers called “the Korean surprise!” Don’t take for granted that your apartment will be furnished. Don’t feel entitled that your school should have bought it for you…you school already will cover your rent and put down the deposit on your apartment. EPIK set up the extra 300 in your first paycheck for a reason. I know a few teachers who were exhausted and finally reached their apartment only to find that nothing was in it. Be prepared that this might happen…ask your coteacher on your first day if there is anything you might need for your apartment. If you arrive, open the door, and your apartment is empty, turn and ask where the nearest Home plus or Emart is. You can buy floor sleeping pads and comforters and pillows there. Also, that 300 dollars won’t be there until the end of the month so bring enough money for the first month and some extra just in case. EPIK recommended 1000 dollars (keep an eye on the exchange rate). I would say you can easily live on that. Want to buy a bed frame and mattress for your empty apartment? Just be patient and wait for your first paycheck. Being frugal at the start is a good way to go! 5) Wait….is this a steamy shower or an icebox? If you arrive in August, be prepared for muggy and sweaty for your first few months. I hope those first 5 tips prove helpful! If you have any other questions, please post your questions in the comments below and I will try to answer them! What I learned in my first 4 months as a beauty Youtuber. One of the bigger questions wondered about in today’s day and age is typically about social media influencers. What does it take to become one? How much do they earn? Social media influencers make it look easy, and the large paycheck they can earn (Those with over 100,000 Instagram followers can make $1000 from a company for a single picture with their product, and the number one youtuber, Pewdiepie, reportedly earns up to 40,000 dollars a month from his videos and sponsorships) has made being an influencer a desirable job. YouTube is flooded by up and coming youtubers and Instagram’s most popular tags are focused on getting more likes and followers (#like4like, #likeforlike, #l4l, #followforfollow, etc.) But how feasible and attainable is the idea of becoming a Youtuber? Well the best way to learn is by doing. So, I did. So what did I learn? What strategies work the best and what strategies fall flat? 1) It is a marathon, not a race. I started with my first video on July 31st, 2015. It amassed 40 views within the first 2 weeks, and was lovingly filmed with my Samsung Galaxy s5. I attained 6 subscribers from that video. Fast forward to today where my videos now achieve 45-100 views the first day I post and I average 4 subscribers a day. And this is with 167 total current subscribers. Sounds great, but this means for 5 months of videos and hours of work, I average less then 40 subscribers per month. 2) Time you put in/ Content = Subscribers. The more time you invest in promoting yourself as a brand, editing for great videos, interacting with other youtubers, and interacting with your subscribers, the more subscribers you get. For example, when I invested in a better camera and spent time planning and editing my videos, the amount of subscribers and views I got greatly increased. I set small goals for myself and achieved them. Within the first 3 months, I hit my goal of 50 subscribers. Strategy: I then reached out to my social media following, friends on Facebook, and Twitter, and set a goal of 100 followers by the end of November. I released a video and included a giveaway, stating that once I reach my goal, I would choose 2 subscribers as winners for my giveaway. My channel (and Instagram) grew, and by November 31st, I had 106 subscribers. So, pretty good growth, going from 50 subscribers in 3 months to 50 subscribers in one month. Strategy 2: I was still not engaging with the YouTube community as much as I could. I set out to commenting on more videos, supporting other youtubers, and making the effort to interact with people who had the same goals as mine. 18 days later, I have grown by 60 subscribers. 3) You will not be rolling in dough. Youtubers make around $1 for every 1000 views on their video, but this is more related to how many clicks the ads get. The more subscribers you have, the more may click on your ads, the more money you make make. Most of the money youtubers earn is actually through sponsorships. You can get sponsorships through host websites however, again, you usually cannot apply to work with a company until you have between 1,000 to 5,000 subscribers (depending on the host website). Having 1,000 subscribers does not mean you will start getting calls from big brands. The more subscribers you have, the more desirable you will be. Think of the youtubers with 30,000 to 50,000 subscribers. They typically start coming out with more of the sponsored videos and are sent more products. How much did I make? From when I became monetized (about a month ago) until now, I have made “around” a dollar. So 5-8 hours of work per video, 4 videos released within 30 days, that means I made about 4 cents an hour. 4) What the websites tell you is true. Every video and website article on growing subscribers will tell you the same basic points. Here they are for you, summed up. Take time making your videos. Look at successful channels and see how they have branded the appearance of their channel. Picmonkey.com is a great free resource to make professional looking thumbnails and cover picture. Use natural light if you don’t have professional lighting. take the time to look at your video and make sure you are not too blurry, overexposed, or dark. Filming at night? Not a great idea unless you have professional lighting. Even a great camera will have trouble in low light. comment, subscribe, and make friends in your YouTube community. Do collaborations with people (I currently have 3 in the planning process), listen to your subscribers. Now, reaching out does not mean spam! I am much more likely to check out the page of a subscriber who leaves a nice and thoughtful comment instead of one who asks me to check out her channel. One seems genuinely interested in me and my content while the other has a motive and invests no actual interest in MY content. Genuine comments establish relationships which leads to subscribers, collaborations, and eventually even a great friend! Have a Facebook, Instagram, or a twitter? Use these platforms to help gain exposure for your videos. The tags you use make a HUGE impact on your views. generic tags that are used often (such as #beauty, #haul, etc.) will not bring you to the top of the search page. Tubebuddy is a fantastic free service that has a tag explorer. It can tell you how often that tag is used vs. how often it is searched for and will give you a percentage based on that information. Anything less than 70% I usually avoid. Be aware of what videos are popular during those seasons! For example, post a Halloween DIY or tutorial the week before Halloween. make a “Back to school outfits” video in July! Bethany Mota uses these tools and has a huge increase in subscribers every summer. I don’t know what the next few months will bring, but I hope to keep you updated 🙂 In the meantime, I would love for you to let me know if this helped you! What was your YouTube growth? Are there any tips you use that you found to be successful? Sheet Masks 101: How to revolutionize your skin care regime. If you wander around Seoul, South Korea, you will notice the gleam of radiant skin that seems to echo from almost every Korean’s face. How is it that many Koreans look 5 to 10 years younger than they are? 1) Many visit the dermatologist like we visit a doctor. Once or twice a year! 2) A multi step skin care regime for morning and night that includes cleanser, toner, serum, and moisturizer. 3) A habit of putting sun cream on everyday, and including it in many face creams, foundations, etc. 4) A once a week sheet mask. The question I posit today is….what is a sheet mask and why should you include it in your skin care regime? Essentially, sheet masks are sheets made of cotton, other fibers, OR hydrogel, that are often infused with a serum or other products that are great for your skin. Setting a face mask on your face for 15 minutes gives your skin more moisture and allows for the vitamins and other ingredients to have more time to ‘work their magic”. Sheet masks in Korea are also amazingly cheap, and often go on “buy 10, get 10” sales. Typically a sheet mask is used once a week but it can be used more often than that. 2) Use a toner and wait 1 minute. 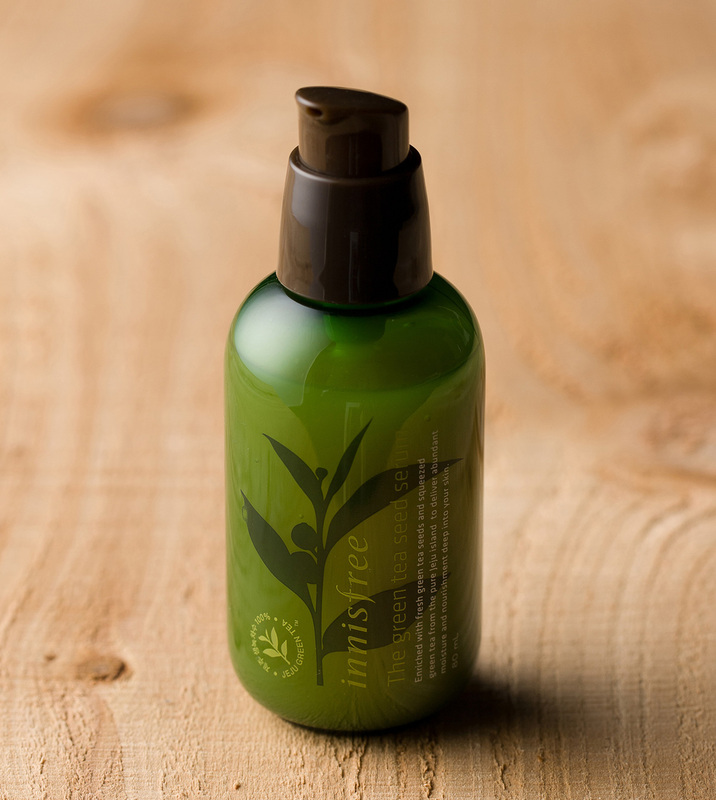 Think of a toner as something that helps your skin to be extra receptive. 3) Put sheet mask on. Only leave it on for the 10-15 minutes (or the recommended time). If you leave it on until it is dry, it can actually wick moisture from your face. 4) Take sheet mask off and pat extra essence onto neck. 5) Pat face to help the extra essence be absorbed. 6) My last trick- put on a moisturizer. I feel it helps absorb the rest of the essence and helps with the slight “stickiness” that can happen with some sheet masks. I suggest using before bed because some masks are sticky and it can take time for the extra essence to absorb into the skin! But what about the purchased sheet masks make them so great? Their ingredients of course! Instead of typing out huge long lists of each mask and ingredient, I made a video that breaks down my favorite masks and sheet masks by the problems they help with, and then I also break it down further and explain some ingredients in each masks and what they do. Note: wanting to stay more natural? 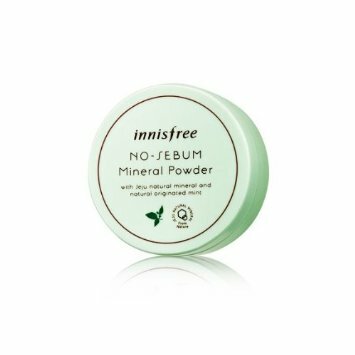 The Innisfree masks are super cheap and have wonderful ingredients. Give them a try! There are many blogs on the internet which will spout the newest “fads” in Korea in skin care and beauty, as well as what are the bestsellers. However I found there to be a common issue for many of them…. I’ve never heard of the products. Flouncing through Department stores and road shops on a pretty routine basis should mean that I would have some familiarity with the brands in question. I do spend way too much of my time researching new brands I come across and testing the newest products…However, blogs never cease to amaze me by proclaiming the “Newest Korean must have beauty items!”….that I have never head of. …and by never heard of, I mean never seen in any beauty store I have entered….ever. So I hit the streets of Myeongdong in Seoul, South Korea to bring to you the current bestsellers at the different road shops in Korea. First of all, what is a road shop? Road shops differ from the Sephoras and Ultas of the world by only containing one brand. Each road shop contains that brand’s skin care and make up products, and did I mention….they are super affordable? Not just affordable…..but the quality in also amazing! There is a reason Korea is known for their beauty products! Because there are so many really great road shops, I broke this into two blogs, so stay tuned for the second one which should be posted in the upcoming weeks. I also included some extra products that are my favorites (or that I know are popular). Let’s get started! So walking into the store I was CERTAIN they were going to give me the green tea seed serum…it has been one of their best selling products for a long time, but to my surprise they actually ushered me over to the Sparkling mineral water essence! The essence itself comes out in a foam, and a little goes a long way. I’ve been using it for a month now and my skin is very moisturized, but that is all the improvement I’m seeing so far. It seems more moisturizing than the green tea seed serum, so it may be a better fit for winter in Korea! As I predicted, they showed my their pencil liners. The liners stay on great and don’t smudge! Downsides? They all have shimmer, which was nice for the darker colors, but a little too much for the light colors. I decided that I like the Etude house play 101 pencils better. They have a large assortment of colors, can be used on your lips/cheeks/or eyes, are win up instead of sharpen, and have matte and shimmer shades. Both stay on very well when they set also. They also showed me their black head removal kit! I followed their instructions exactly (wet the nose with warm water/use after a warm shower, leave on for 15 minutes. wet nose again and put on second strip. 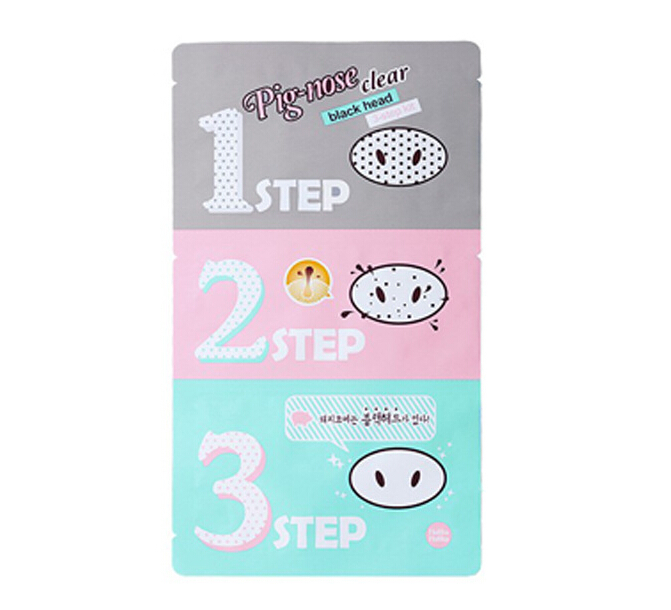 let dry and sit for 15 minutes, slowly pull off, and then use last step nose mask for 10 minutes.) and I found it more effective then a Biore nose strip, BUT….still not a fan of nose strips. I think they enlarge your pores and having my nose hairs removed with my blackheads is still not my idea of a good time. The infamous clean it zero was immediately handed to me! Now, I love this because it very easily removes my fake lashes and cleans them without any fuss, and down’t burn my eyes. 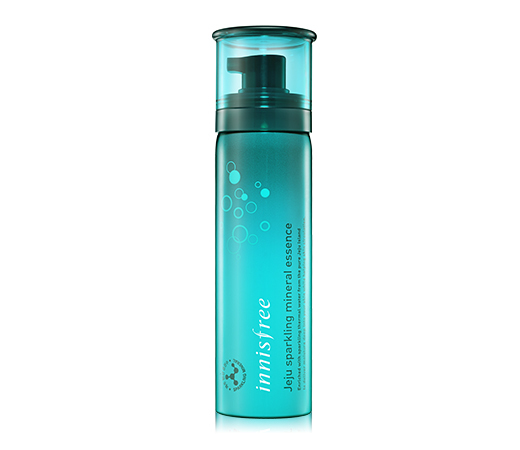 I have the Innisfree green tea cleansing water, and It also removes fake lashes easily, but burns in your eyes a little. I don’t feel this is a one stop cleanser though. 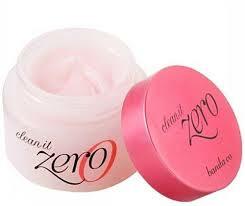 After using the Banila co. clean it zero, I added some of my cleansing water to a cotton pad and swiped over my face. The amount of product that was on my cotton pad made me realize that I will always need ton use another cleanser after the clean it zero. Consider it a make up remover only! 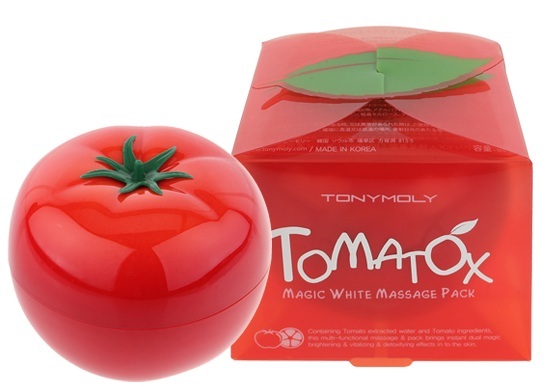 Tony Moly led me to their gel liners and their Tomatox mask! I can say i through love both of these! SO much!!! 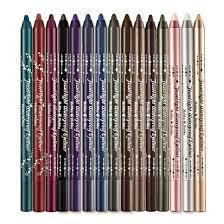 I prefer their gel liner that doesn’t come with a brush, it is a little denser and therefor easier for me to control. Their Gel liners come in 5 different shades! Their Tomatox mask is amazing. You massage your face, which feels great, and the effects are wonderful! My face is brighter and the redness is significantly less! However, the effects are temporary. It lasts about 6 hours, so It’s great to use before a night out! They brought me to their foundation box kit. basically, it has their foundation, a concealer, a highlighter, and a “cheek and lip” color. The foundation is good (cream foundation), it’s dewy and medium coverage but it didn’t break me out. The concealer was fair but does leave creases under the eye so you would need to set it! the highlighter was great for that dewy look! I have 2 issues I don’t like. 1) It only comes in two shades. 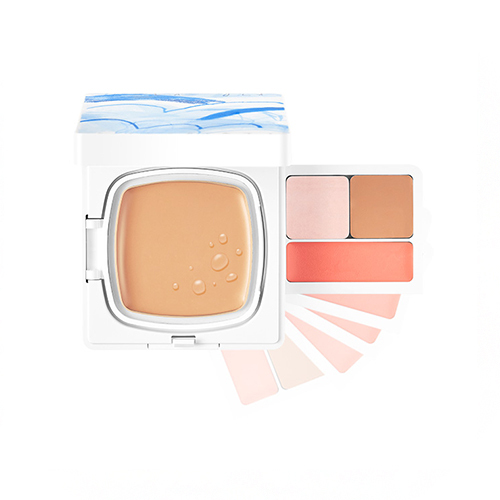 This is usual of many of the Korean brands, most coming in three shades…but only two? The lightest shade was perfect for me…(I am a 110 in Maybelline fit me….the lightest shade there is) So, if you aren’t a fair skinned person, stay away. 2) The lip/cheek was WAY too light! I’m extremely fair, so although the color was okay for cheeks, on your lips it washes you out…Think of it as the palest light peach….no thank you. (the lip and cheek color appears to be the same for both foundation shades. Want to hear a little more? Check out this video on my channel where I go into each of the different products, AND talk about some other ones I already own! YAS! Give me some pumpkin spice pronto! Hey! Fall is here, and with it, fall makeup tutorials! Yaaassssss! Hundreds of Youtubers have flooded the internet with their fall makeup tutorials. And here it is! An easy eye tutorial using Korean products I have. Without further ado….here it is! Enjoy! You’ll laugh, you’ll cry, you’ll…..okay, you probably won’t laugh or cry. This was a short blog, but I hope you enjoy! Put down your bronzer and blush! You won’t need them for this look. Just take a foundation that is your shade and blend it evenly across your face. I use a light pink base as well to add brightness. The key to this look is an even, pale face. Optional: Take a light pale pink or peach/orange blush and, with a VERY light hand, apply some to the apples of your cheeks, swiping back to your ears. It should be barely noticable when done. Koreans are not heavy with the makeup for daily activities. You want to take an eyeshadow, 1 to 2 shades darker than your skin tone, and blend it on your lid so it just peeks out over your crease. Take a light shimmery shadow 2 shades lighter than your skintone, and highlight the inner corners and “aegyosal”, the cute puffy skin right under your eye. Optional: Take a contour color (I prefer a light taupe), and lightly shade under the aegyosal so it looks more pronounced. There are no cats here, just cute puppies! 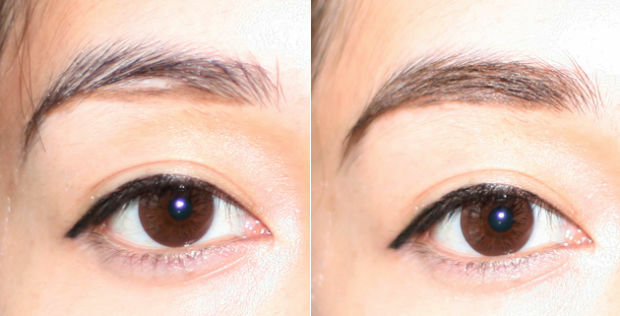 The puppy eye is a technique where you line your eyes as normal, but instead of winging it out, you drag it down just a little! Take a concealer and conceal the edges of your lips. Using a red tint or lipstick (you can choose pink or orange too…orangy red seems to be the most popular right now) Apply some to the very inner portion of your upper and lower lip. Then using your fingers or a brush, smudge it out so it fades into the concealer, creating a gradient! Optional: top with a clear or sheer shimmery lip gloss so lips appear fuller! However, despite the terrible audio, my own nervousness talking to a camera (no dating robots for me! ), and only having the beautiful thing we call a “smartphone” to film on…I’ve found the experience to actually be very…fun. It’s a learning process for sure but, here’s my most recent video. 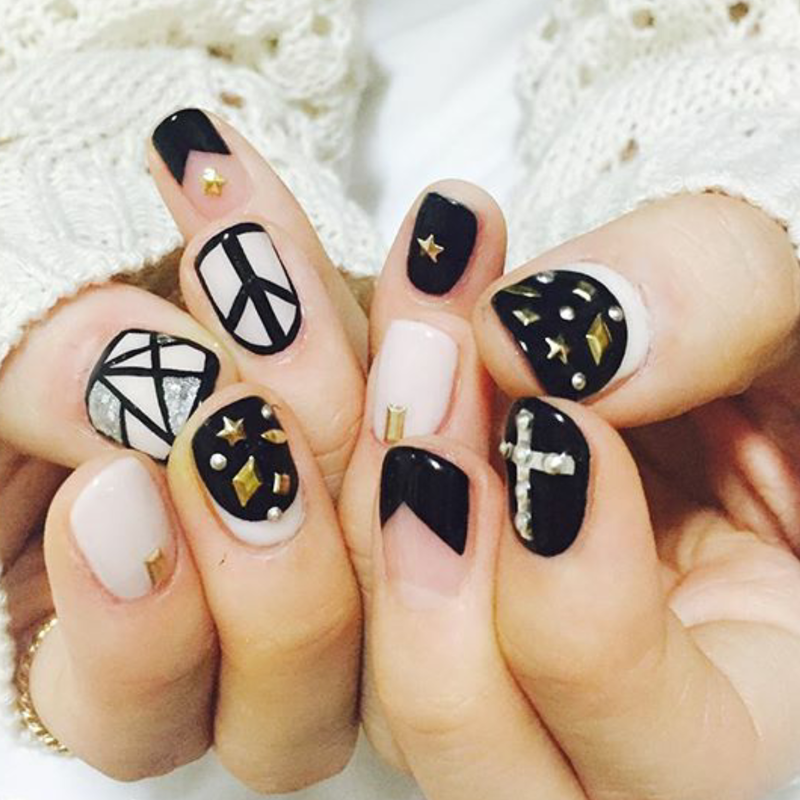 5 Korean nail trends I’m on like donkey kong. 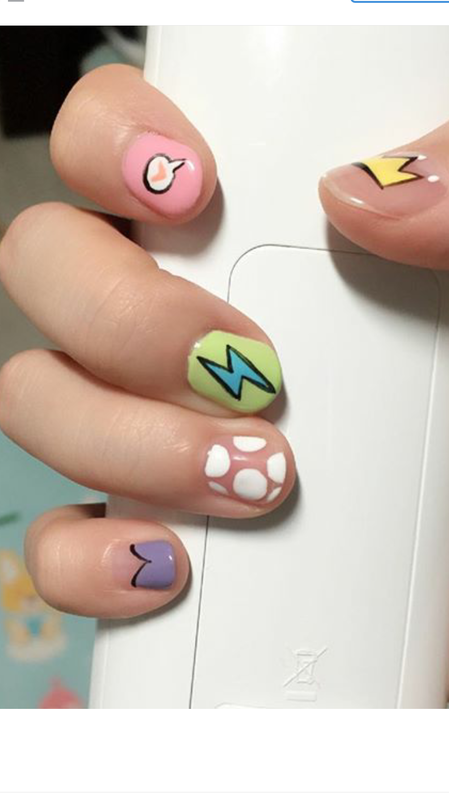 I previously posted about certain Korean nail trends that needed to kick the bucket, but what would I be without posting about current nail trends I actually enjoy? 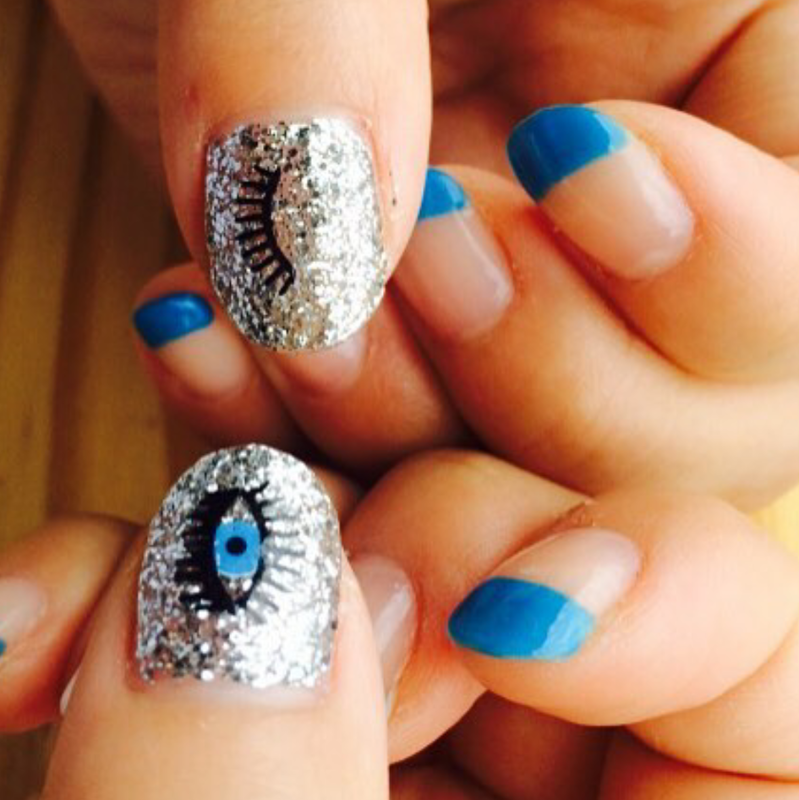 So here they are…5 current Korean nail trends that are the icing on my cake. Why have a normally French mani when you can skip the impressionist era and go straight for modern art? All you need is a steady hand and a brush! 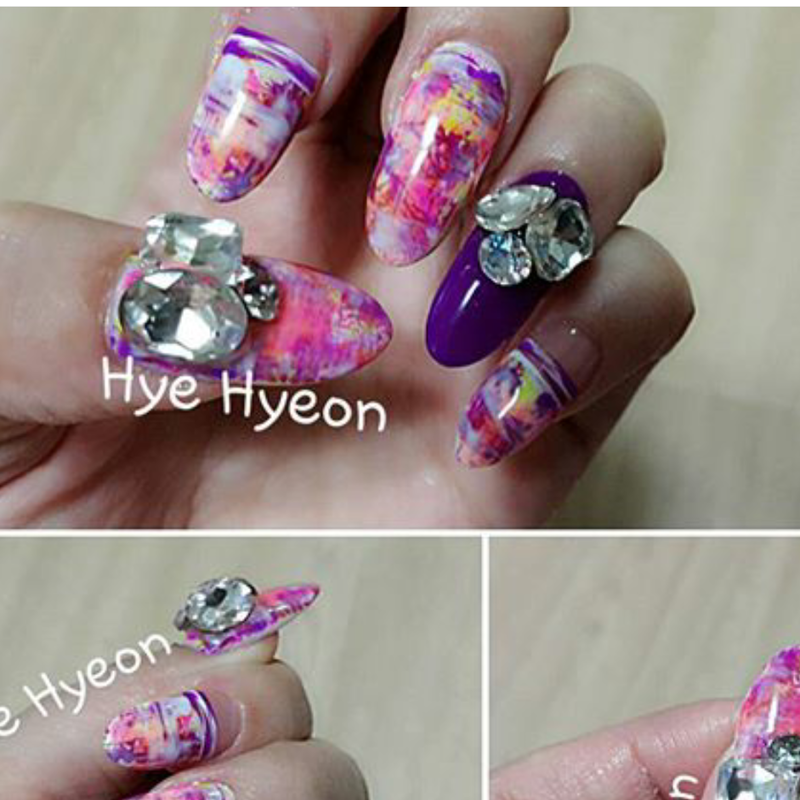 In Korea, they love their nail art. Now, sometimes this can go very wrong (I’m talking about the tiger claws with the crown jewels AND the queen herself glued to them), but sometimes, they can go very right. 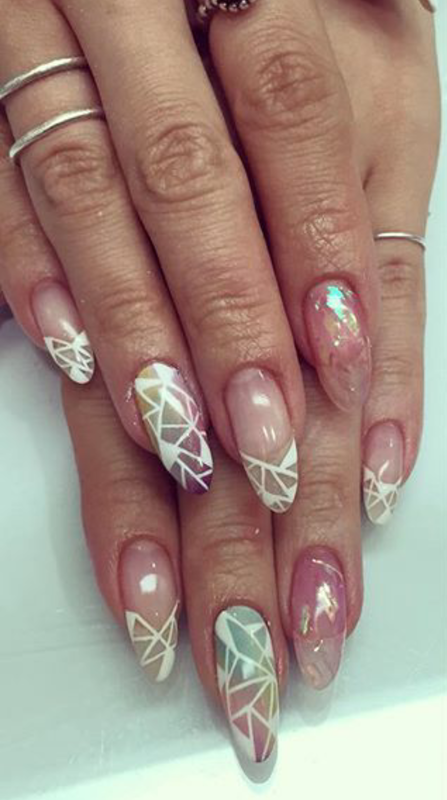 When it is not being used for evil (see previous nail post), cellophane can actually take the graphic look that has recently gained popularity and give it some glam. probably one of my favorite new trends. 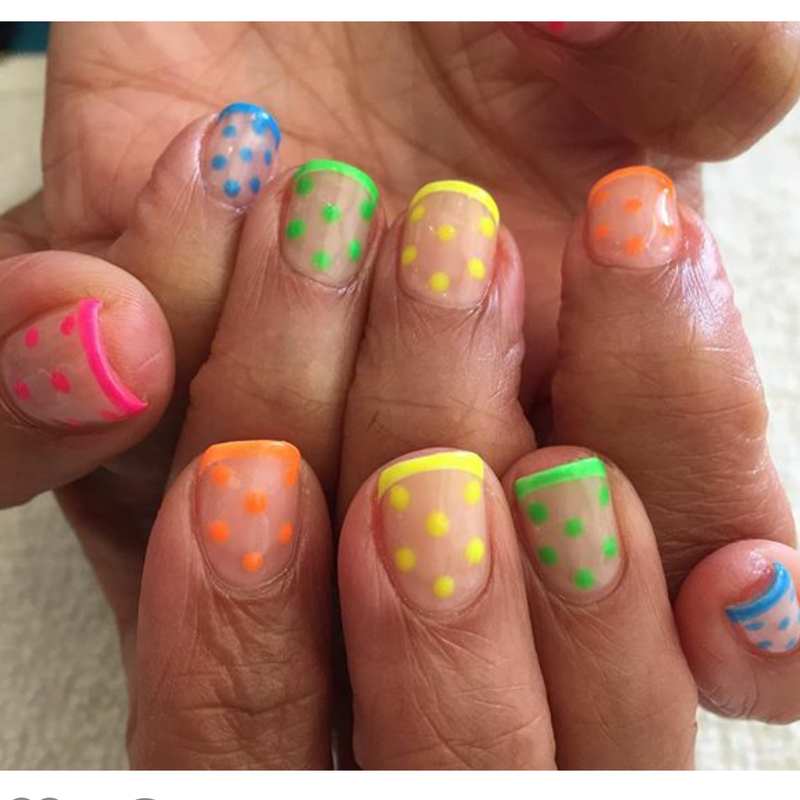 Unlike it’s brother, the reverse moon, it doesn’t make me want to re polish people’s nails…. When done well, this takes you back to the joys of middle school…bask street boys, first crushes and….cartoon network. Yes please. 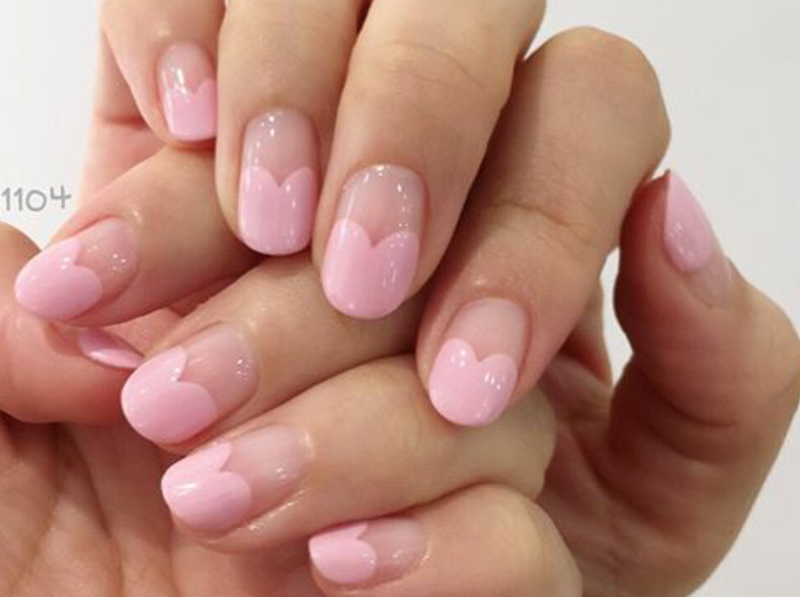 I usually don’t like things that are too girly, but this trend that has been quite popular (and typically in pastel colors) is so sweet I’m getting cavities. 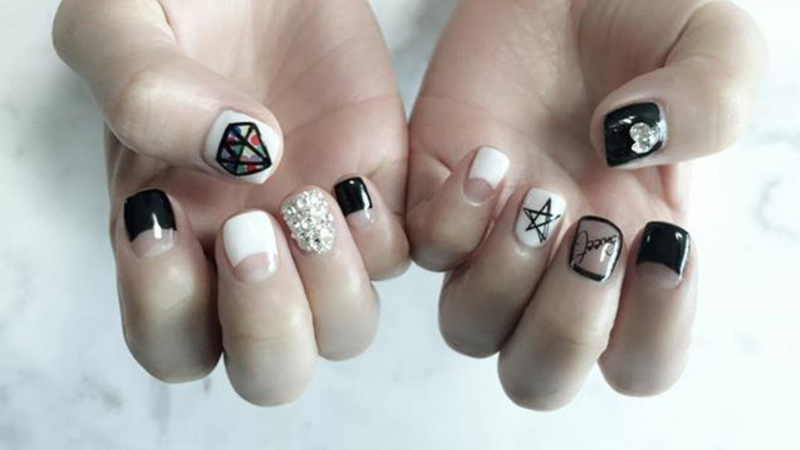 Trends come and go and here in Korea it’s no different, but being in a society where nail art is much more prevalent than in the states, you are bound to come a across a few trends thatdon’t float your boat! 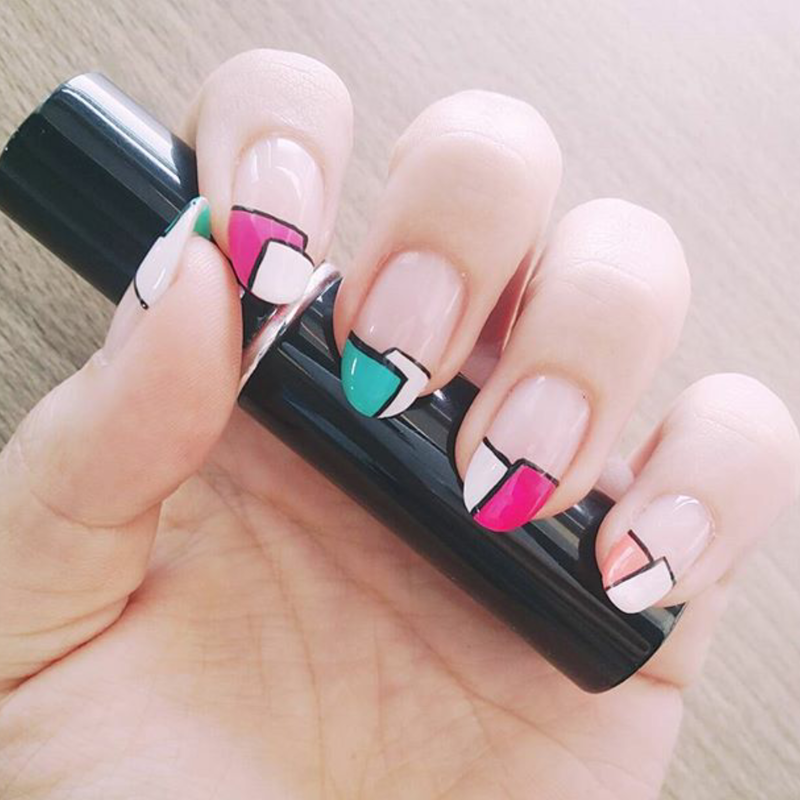 Without further ado, here are 5 nail trends that make me feel a little titanic. 1) THE OUTLINE While this trend is (thankfully) on the out, I never understood it’s initial appeal. 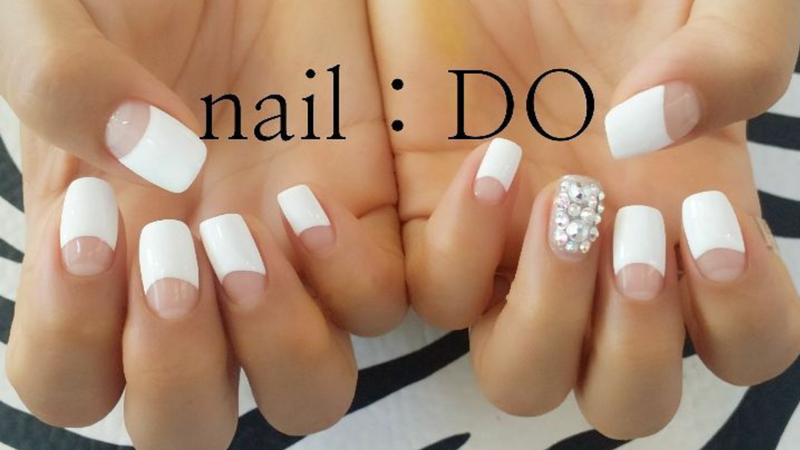 It only makes the nail appear smaller. 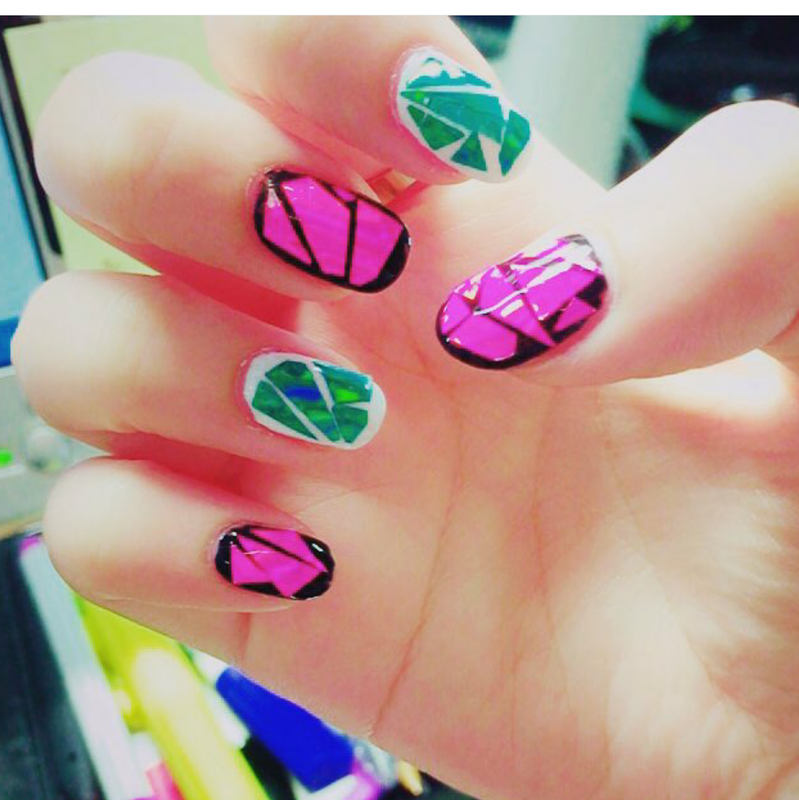 3) THE CLEAR AND COLORFUL I’m instantly brought back to my nail art attempts in middle school. 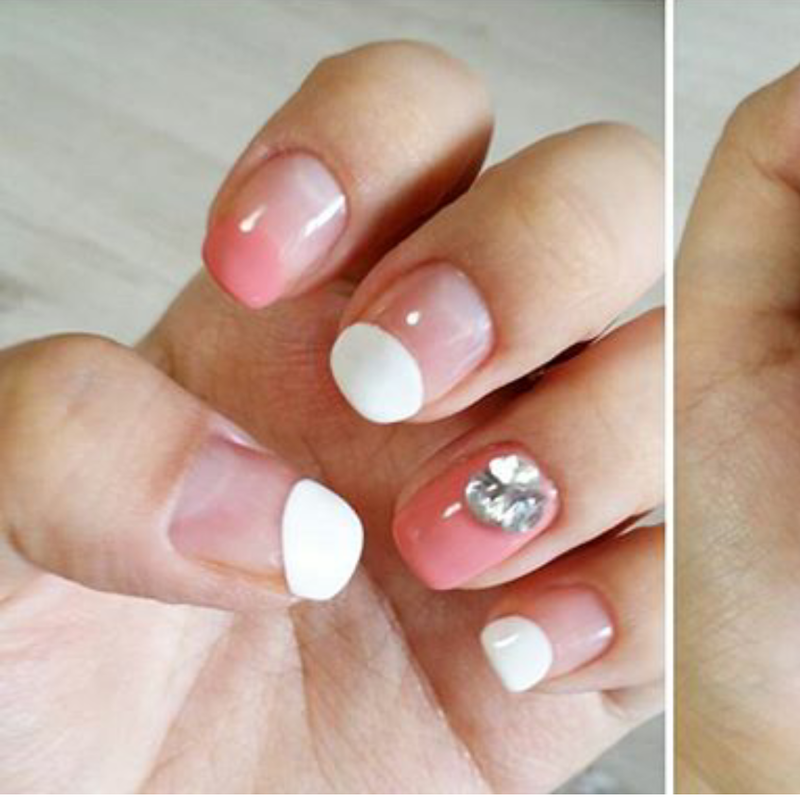 I dont mind the colorful change to a french mani, but I prefer the choice of one color that draws your eye, but doesn’t blind it. 4) CELLOPHANE I have seen this done beautifully, typically when the cellophane has a beautiful pearly iridescence that is paired with white…but lately this green and white versus black and pink has been popping up on many an instagram post. The color clash and graphic confusion feels less like art and more like a broken stained glass window. 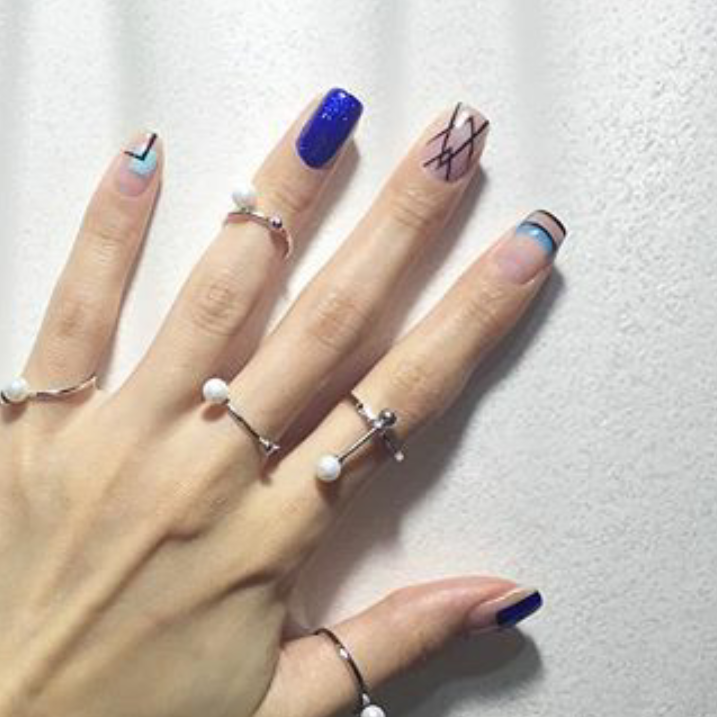 Stay tuned for my top 5 nail trends in Korea, coming soon! My christmas present for my dad this year! He doesnt know, because Ive been thousands of miles away in Seoul but.....this is what I am sending him (instead of the copic marker drawing). When I was little, my dad LOVED western movies! I remember sitting and watching hang em high, for a few dollars more, etc, with him. When I got older, I gifted him gran torino, and now we watch that together when I visit on holidays! Common theme here is #clinteastwood. . So I figured that he would be the perfect subject to start watercoloring with! I haven't done a watercolor painting in eight years...I think I did okay!